Super Duper Gamer Team Entertainment: Nintendo... don't fix a good thing + From the source: Nintendo X Sega... I've got RANTS in my pants! Nintendo... don't fix a good thing + From the source: Nintendo X Sega... I've got RANTS in my pants! It's Friday... the week flew by like someone trying to cross the finish line before the blue shell comes crashing down, but another episode of Nintendo-Demand is here just before the love birds out there... put the gameplay on hold (or rev it up together). Before I got... Flipnote Studio 3D is now available at Club Nintendo, Enjoy! 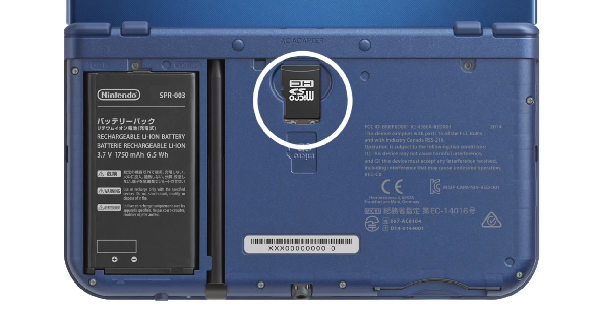 First off... some people interested in the New Nintendo 3DS won't have existing 3DS hardware to use a plug for the new one. Even if the price of the NN3DS were $10 more... a plug is needed to avoid it being an annoying situation (similar to the annoyance with the PS Vita and required purchase of the memory cards). If something is essential... don't leave a customer hanging (ever!). Also... to switch memory card sizes, blows (seriously Nintendo). You aren't thinking of the gamers out there that are lucky enough to simply get the New Nintendo 3DS... and you switch up the memory cards? You decrease the ease to migrate from one system to the next with the same memory cards, and... lets not forget about where the freaking memory card slot is located. Couldn't make it easy huh? You made the ease of swapping out cards on the fly... a process that requires a screwdriver, and that's screwed up for the people that can't afford to get the ones that hold more data (imagine swapping those things out and wishing that the bottom casing of the New 3DS was more of a snap plate). The customer has to be kept in mind... in all aspects. REDMOND, Wash.--(BUSINESS WIRE)-- “Dawn of the First Day. 72 Hours Remain.” With these iconic words, Link begins his suspenseful three-day journey to save the world from a crashing moon in The Legend of Zelda: Majora’s Mask 3D game, launching the same day as the New Nintendo 3DS XL system on Feb. 13. 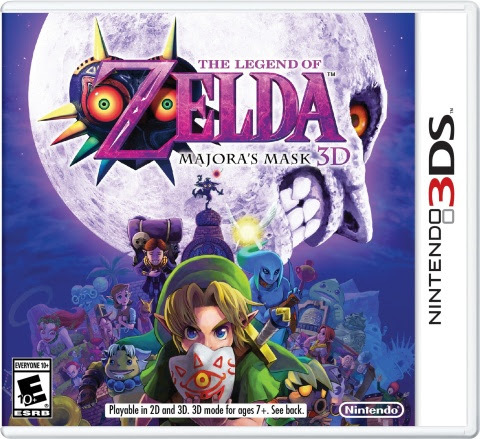 The Legend of Zelda: Majora’s Mask 3D is a remastered and enhanced version of the classic that’s unlike any other adventure in The Legend of Zelda series, and New Nintendo 3DS XL offers the smoothest and most engrossing portable gaming experience possible. We aren't going to get into the talk about whether Zelda will actually be available for our viewing pleasure on Netflix or not... but if it is... I hope it is something Shigeru Miyamoto, Takashi Tezuka and Eiji Aonuma can be proud of. I don't see Nintendo allowing such a project to be fumbled... but I hope that these guys have their hands in it and it feels extremely authentic. 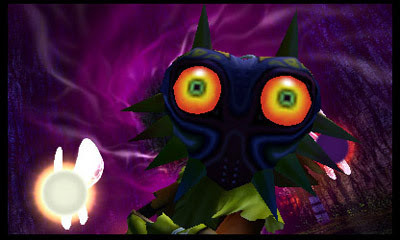 The Legend of Zelda: Majora’s Mask 3D – Available Feb. 13 – In this re-mastered and enhanced 3D version of the Nintendo classic, a masked Skull Kid drags Link into the world of Termina, where the moon is falling from the sky. Lucky for Termina, Link can reverse time and relive his last 72 hours in limitless ways. Each time, he’ll don any of his 20+ masks collected throughout the game, help different citizens, battle different bosses and ultimately change the fate of a world. This is the definitive version of a dark classic. Click here to view the trailer. In addition, to help celebrate the game’s release, Eiji Aonuma, the producer of The Legend of Zelda: Majora’s Mask is hosting a Miiverse drawing event! For more details, check out Mr. Aonuma’s message in the Art Academy SketchPad community in Miiverse. Monster Hunter 4 Ultimate – Available Feb. 13 – Experience big game hunting with Monster Hunter 4 Ultimate, available exclusively on the Nintendo 3DS system. Join up with a traveling caravan of hunters to explore new lands in pursuit of larger-than-life beasts. Play alone in a robust single-player experience or join with up to three other players via a local connection or online via Wi-Fi to tackle hundreds of quests and take down ferocious monsters. Click here to view the trailer. ACE COMBAT Assault Horizon Legacy + – The critically acclaimed aerial combat series flies onto Nintendo 3DS.ACE COMBAT Assault Horizon Legacy + delivers supersonic flying, exciting dogfights and high-altitude acrobatics all in enhanced 3D. In addition, players can take control of customized, real-life aircraft with Nintendo characters like Mario, Bowser and more. 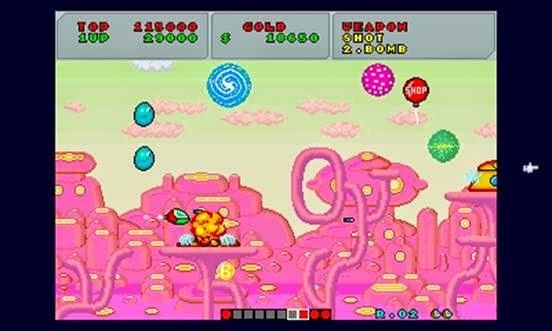 3D Fantasy Zone – This classic arcade shooter was first released in 1986, and is now available exclusively on Nintendo 3DS. Take command of the spaceship Opa-Opa to fight bizarre enemy invaders in this cosmic challenge. Blek – Blek is a unique, award-winning game about imagination and personality. Everything you draw keeps moving, and watching your creations move is like magic. Blekcan’t be explained in words. Click here to view the trailer. BREATH OF FIRE – The Dark Dragons are in search of six keys to release the devious goddess Tyr. In the Dark Dragons’ destructive wake, Ryu will need to rediscover the lost powers of the Light Dragons, rely on his companions and save his sister – and the entire world. Will he succeed in his quest? There are just a few days left to save up to 75 percent off Rayman Legends, Assassin’s Creed IV: Black Flag and other select Ubisoft titles in the Ubisoft Game Sale. Knytt Underground is 50 percent off (reduced from $12.99 to $6.49) until 8:59 a.m. PT on Feb. 26. Spin the Bottle: Bumpie’s Party is 50 percent off (reduced from $11.99 to $5.99) until 8:59 a.m. PT on Feb. 26. Paper Monsters Recut is 37 percent off (reduced from $7.99 to $4.99) until 8:59 a.m. PT on Feb. 19. ZaciSa’s Last Stand is 65 percent off (reduced from $1.99 to $0.69) until 8:59 a.m. PT on Feb. 25. Disney Big Hero 6: Battle in the Bay is 33 percent off (reduced from $29.99 to $19.99) from Jan. 13 until 8:59 a.m. PT on March 9. Disney Frozen: Olaf’s Quest is 33 percent off (reduced from $29.99 to $19.99) from Jan. 13 until 8:59 a.m. PT on March 9. 3D Game Collection is 16 percent off (reduced from $5.99 to $4.99) until 8:59 a.m. PT on Feb. 27. Funfair Party Games is 12 percent off (reduced from $7.99 to $6.99) until 8:59 a.m. PT on Feb. 27. Murder on the Titanic is 25 percent off (reduced from $7.99 to $5.99) until 8:59 a.m. PT on Feb. 27. Show your love for gaming during this weekend’s StreetPass event. From Feb. 13 to Feb. 15, you can get up to six StreetPass tags from other Nintendo 3DS users from more than 29,000 Nintendo Zone hotspots across the U.S. and Canada. It’s a great opportunity to collect Mii characters from new locations to help fill up puzzle panels in Puzzle Swap and help out in StreetPass Mii Plaza games. You can also enhance game play in StreetPass-enabled games you already own such as Super Smash Bros. for Nintendo 3DS, Pokémon Omega Ruby and Pokémon Alpha Sapphire. 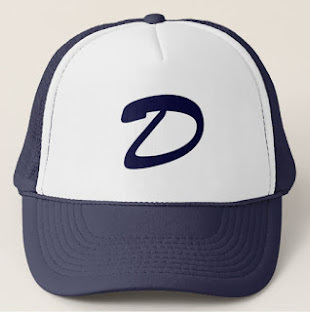 To find a Nintendo Zone location near you, visit http://www.nintendo.com/3ds/nintendozone. For more information about StreetPass, visit http://www.nintendo.com/3ds/features/streetpass/. Send a legendary message to your friends with printable Valentines featuring characters from The Legend of Zelda. Explore more Nintendo Valentine’s Day fun at http://play.nintendo.com/valentine! Battleminer for Nintendo 3DS is $7.99 (reduced from $9.99) beginning at 9 a.m. PT on Feb. 12. Jett Tailfin for Wii U is $12.99 (reduced from $24.95) beginning at 9 a.m. PT on Feb. 15. SEGA announced today that 3D Fantasy Zone: Opa-Opa Bros.™, part of the second series of classic titles re-mastered exclusively for the Nintendo 3DS™ hand-held system, is now available in the Americas and Europe to download in the Nintendo eShop. 3D Fantasy Zone: Opa-Opa Bros. is the popular side-scrolling shooter, first released for the SEGA System-16 board in 1986, in which players control a sentient spaceship named Opa-Opa to fight bizarre invader enemies. The re-mastered version combines stereoscopic 3D visuals with a host of additional features to deliver cutting edge gameplay with a classic feel. 3D Fantasy Zone: Opa-Opa Bros. also introduces a new feature called the “coin stock” system that allows players to accumulate coins for use across play sessions and to unlock in-game abilities. Furthermore, the game features an unlockable mode in which players are able to play as Upa-Upa, the little brother of Opa-Opa, upon completion of the game. 3D Fantasy Zone: Opa-Opa Bros. is available now for download in the Nintendo eShop on Nintendo 3DS. Sega, honestly... you have enough resources to release a new 2D game or a remake of a classic. Is it too much to ask from a larger 3rd party game developer that's still showing Nintendo love? It doesn't have to be huge games, but it would be good to see more from Sega on the eShop side that goes beyond just classics. - How's about a NEW Toe Jam & Earl game w/ online multiplayer? - How's about a NEW Shining Force game for the 3DS? - How's about... doing a freaking kickstarter for a Shenmue remake and make it digital-only (with a collectors editions on disc with a Ryo Hazuki figure and artbook)? Excuses aren't good enough if details can be poured into other games (the budget doesn't have to be outrageous, and there are fans remaking games that deserve to have jobs based on their talent and dedication to remake game out o. I'm not coming down on the Opa-Opa Bros. game (just so we're clear)... but it would be good to see more.